The “Frenchy Special” and old menu favorites from the former Dining Center location are returning to the DC. 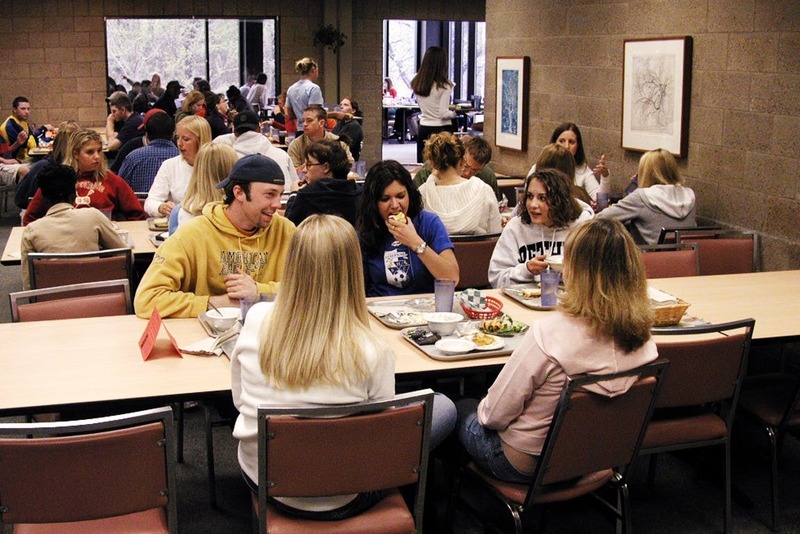 Alumni and guests are invited to lunch on March 26 for #DCThrowback to relive memories of the old space while celebrating 10 years in the Brushaber Commons. It’s time to take a taste down memory lane. 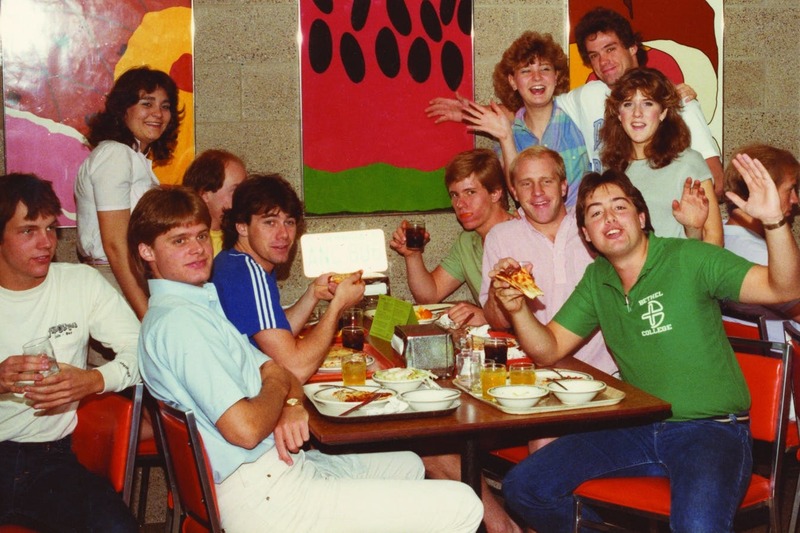 Expect sesame beef, pizza from the old impinger oven, a salad bar served up in large metal trays with Jell-Os and puddings, tater tot casserole, Mark O’s Famous Cinnamon Bread Loaf, and Tomato soup and grilled cheese—all favorites from Bethel’s former Dining Center (DC) location. 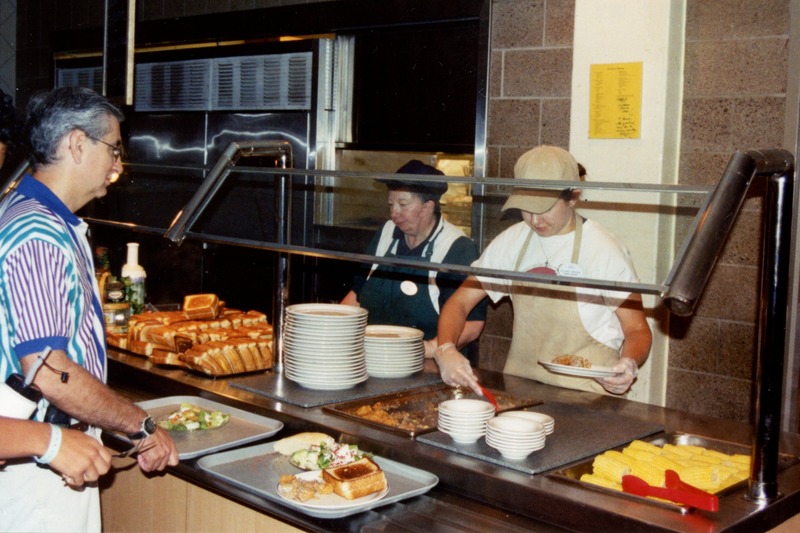 Sodexo, Bethel’s food provider, is bringing back these menu items and more for #DCThrowback, a special lunch from 11 a.m. to 2:15 p.m. on March 26 to celebrate 10 years of the Monson Dining Center being located in the Brushaber Commons. 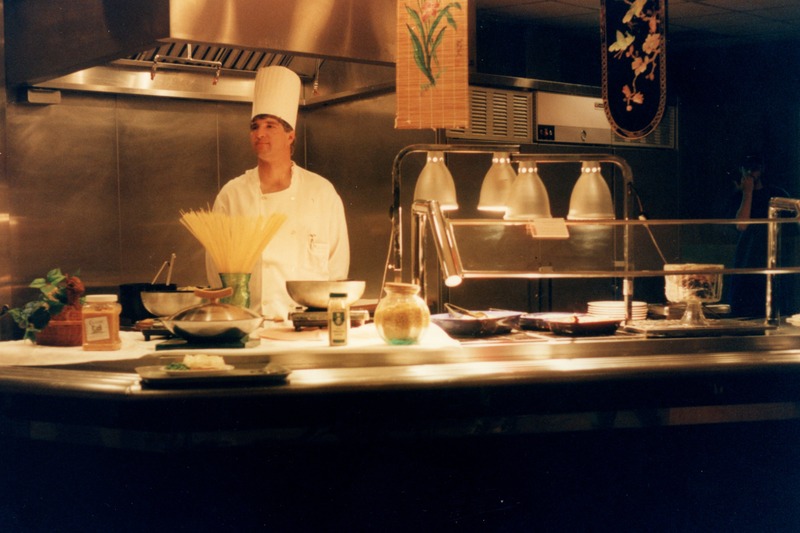 “This is pretty special,” says Sodexo General Manager Bob Schuchardt, known by most students as Sodexo Bob. Alumni and Bethel friends are invited to visit campus and the DC to enjoy these retired favorites from the DC’s day in second level of Hagstrom Center (HC). The space is now the Department of Nursing. Alumni will use the trays and silverware from the old site. Trivia winners will even be able to take home a piece of history—a tray from the old DC signed by President Jay Barnes and former President George Brushaber—while supplies last. They can also look through photos of the former DC, how it looks now as the Department of Nursing, and photos from the construction of the Brushaber Commons. 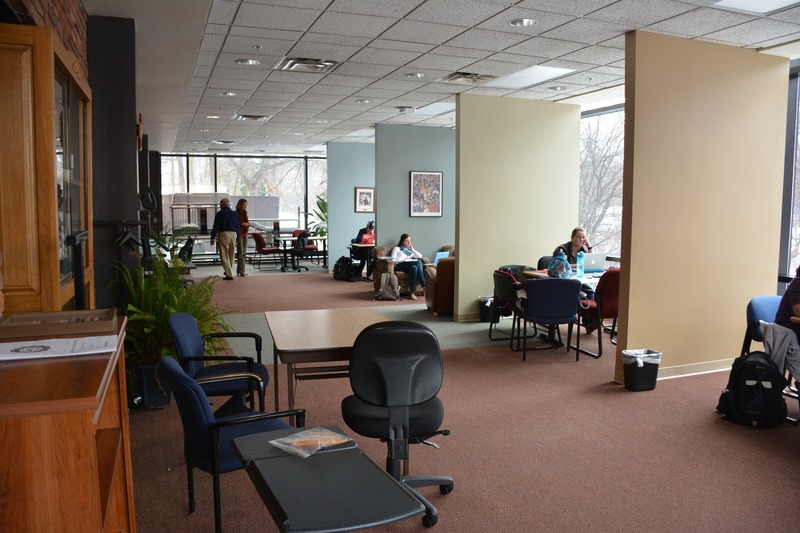 Bethel’s Department of Nursing is now located in the Hagestrom Center (HC) space that was once the Dining Center. Alumni and guests will receive a special rate—or the “Frenchy Special.” And yes, former DC employees like Charlotte “Frenchy” French will return. 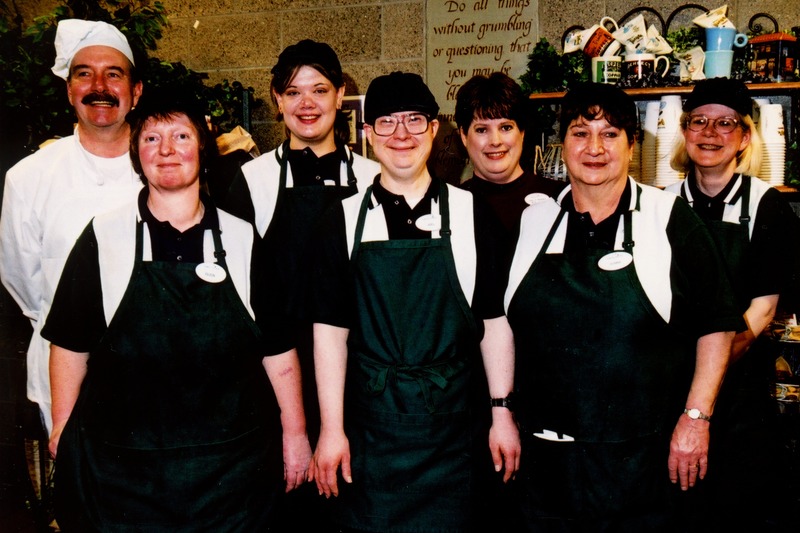 Schuchardt says several current employees helped in the transition a decade ago, adding that the many long-tenured employees is due to the family atmosphere the staff creates. 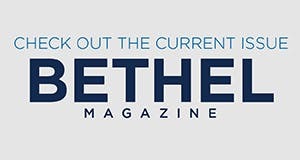 The event will also bring several prominent community members back to campus, including President George Brushaber, former Executive Assistant to the President Richard Sherry, and former Vice President for Campus Services and Campus Planning Bruce Kunkel. All played key roles in the project to build the Brushaber Commons a decade ago. 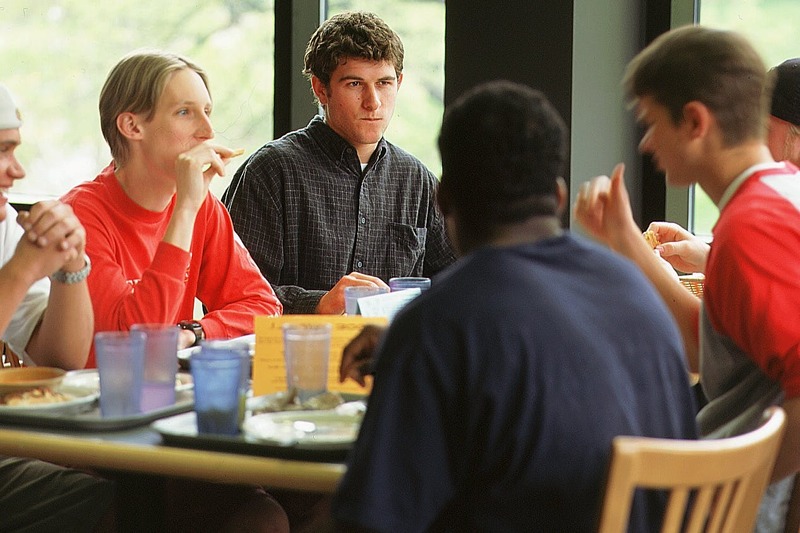 The Monson Dining Center opened in 2009 as part of the 110,000-square-foot Brushaber Commons. The new DC’s 10,000 square feet doubled the size of the old location and prominently features a vaulted ceiling, windows, and open spaces. But DC Student Employment Supervisor David Walden notes the transition only increased seating from 500 to 700. In the old location, Walden says they were cutting tables to the narrowest possible length to maximize space. 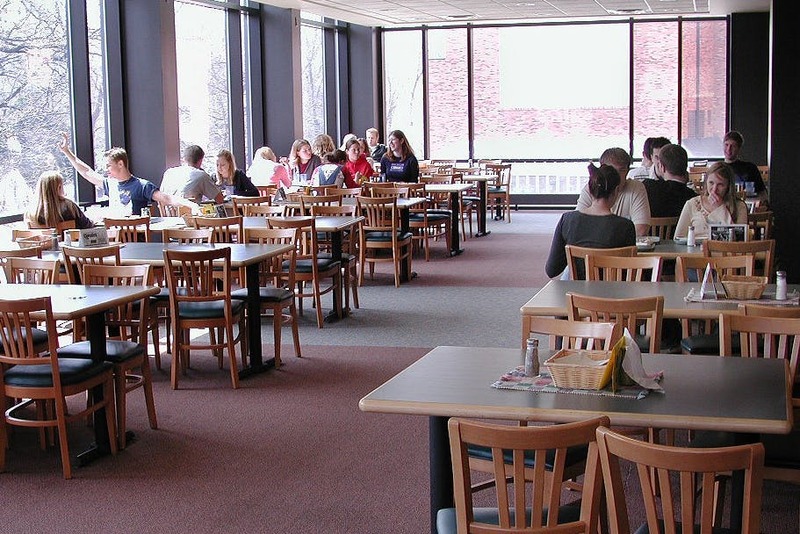 The new dining center opened after spring break of 2009 to give seniors a chance to experience the new location. 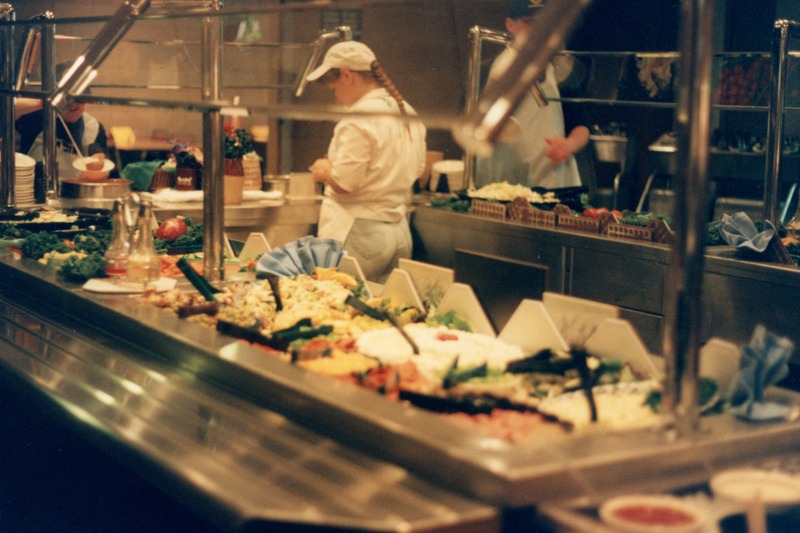 But that required Sodexo to move to the new location in one week after months of practice in the former space. “That was an amazing feat for our team,” Schuchardt says. 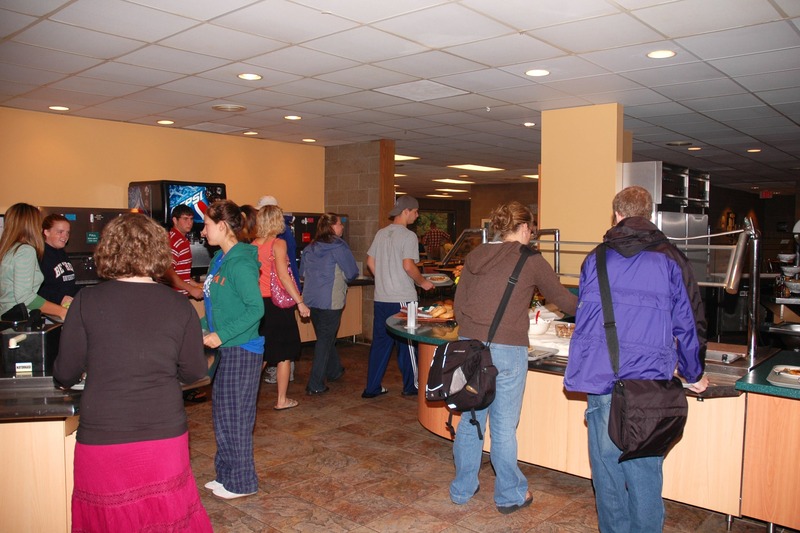 After the move, Sodexo updated to a more contemporary and more varied menu with a wider variety. 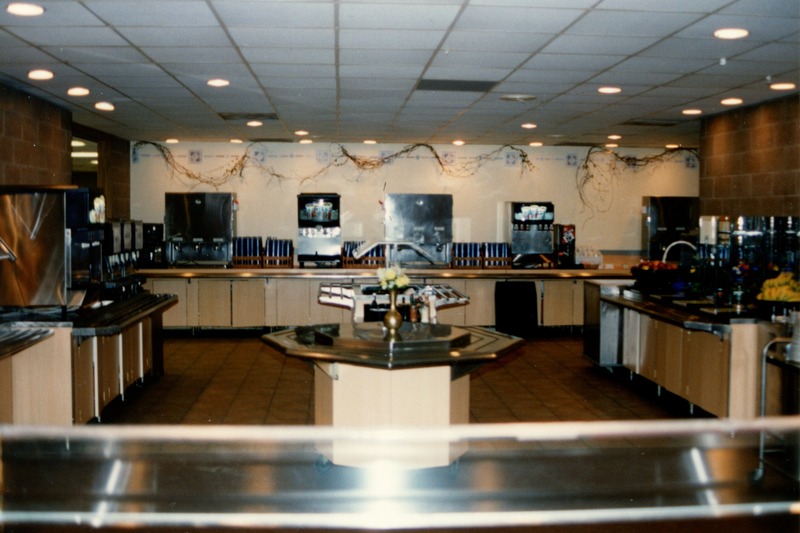 The prior location featured a more classic, limited menu of dining room staples. “That was in part due to the equipment you had to work with,” Schuchardt says. 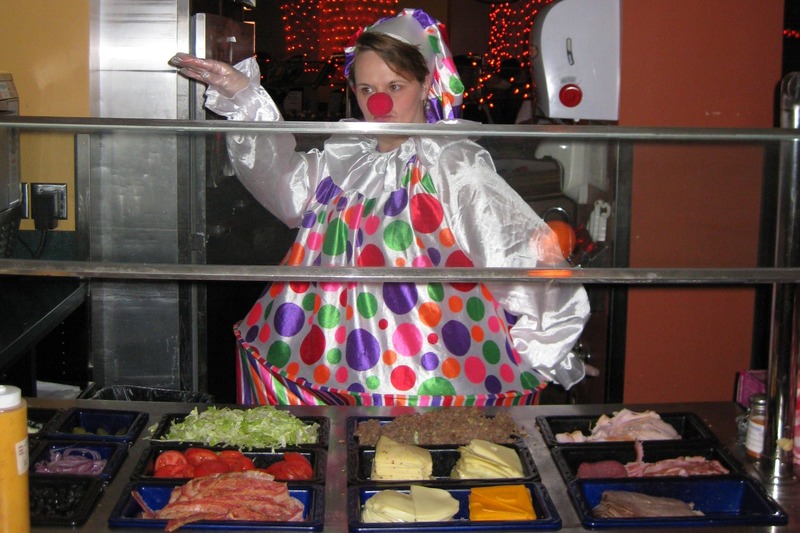 Sodexo Marketing Coordinator Ashley Tulberg says the event is also an experience for current students who never ate in the former location. 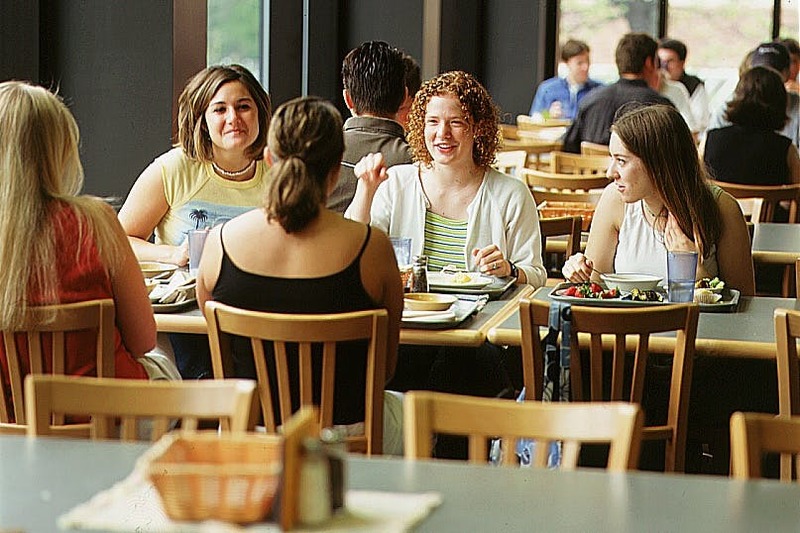 Since the old menu featured more limited options, #DCThrowback can highlight the wider variety of options students have today compared to 10 years ago, she says. 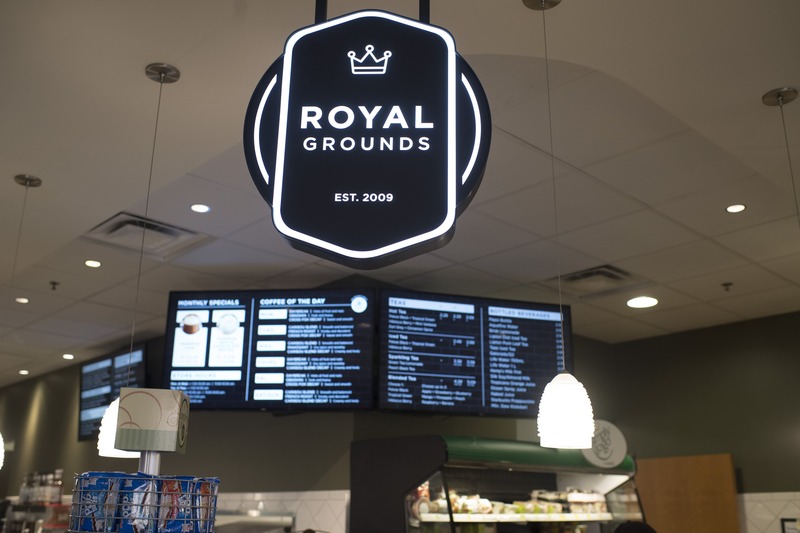 With the take-out options at 3900 Grill, the Royal Grounds coffee shop, and the full-service Monson Dining Center, Dining Services gives the Bethel community a variety of dining settings and options.